A long 18 holes set on some holes of the ball golf course. Disc golf usually only available early in the morning and after 3pm. Tee times should be reserved in advance (see contact). From I-215; exit onto Warm Springs Rd. Go east past Sunset Park. Go through the intersection with N. Green Valley Parkway to a left into the course. Park in large parking lot SW of the clubhouse. 1st tee is by the 1st tee of the ball golf course. 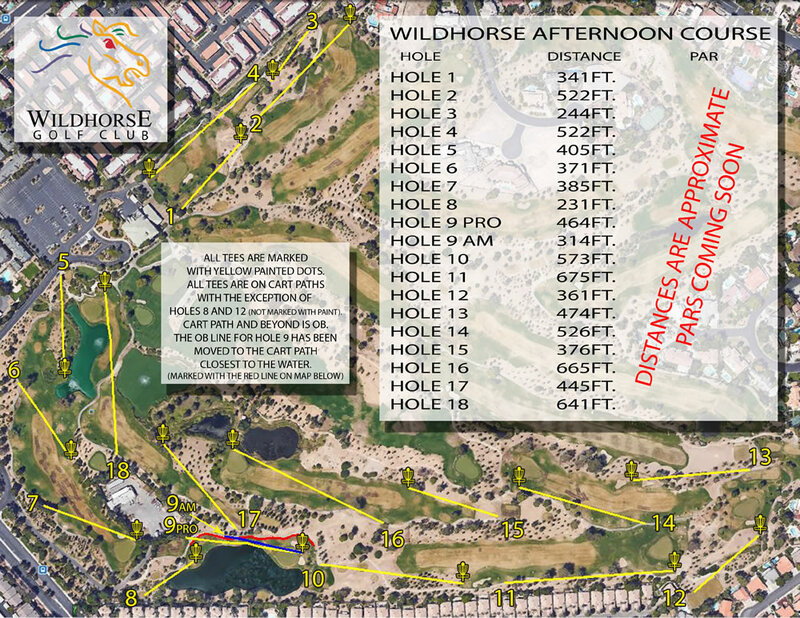 Have you played at Wildhorse Golf Club? Be the first person to review this course!